The indoor space can be host to harmful gases, molds, and chemicals. We all know that plants create oxygen, but did you know that they can also purify the air we breathe? Some plants do so more than others. According to a study by NASA, adding the following plants to your household can help improve your air quality and may improve your health. 1. 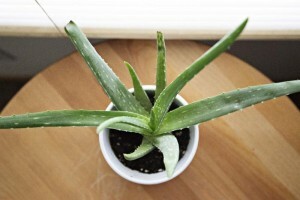 Aloe Vera: This easy to care for succulent is among the most powerful plant air purifiers in the world. It can help clear chemicals like formaldehyde and benzene from the air, and has the rare ability to absorb CO2 in the dark. It’s a great addition to your bedroom to promote restful sleep. 2. Snake Plant: The study shows that snake plant has the ability to reduce respiratory problems, eye irritation, and headaches. It reduces noxious gases Benzene and Trichloroethylene Snake plants are sturdy and easy to care for. 3. Areca Palm: This plant became popular after scoring high in a NASA test. In addition to purifying the air, the Areca Palm also adds humidity. 4. English Ivy: This decorative plant ranked most effective for removing formaldehyde from the air in the study. Also, The American College of Allergy, Asthma & Immunology reported that English Ivy removed 94% of airborne feces and 78% of airborne mold in as little as 12 hours in a 2005 experiment. 5. Chrysanthemum: This flowering plant filters out benzene – often found in products like glue, paint, plastics, and detergent. The blossoms make a colorful addition to your home and can be used to make a health-boosting tea! Be sure to keep the air in your home circulating well to keep your plant filtration system going and spread oxygen all around!